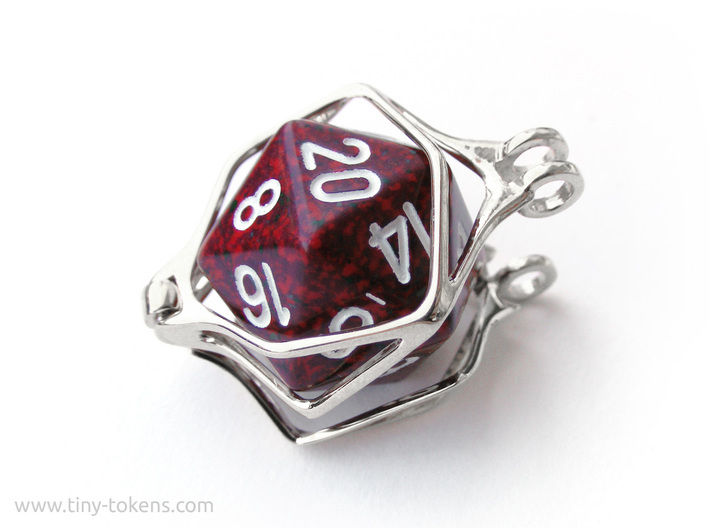 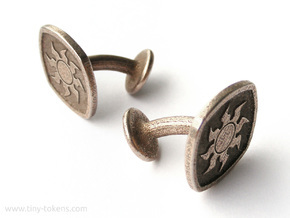 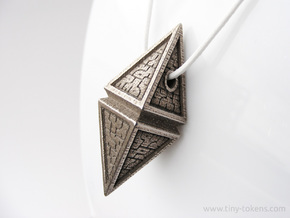 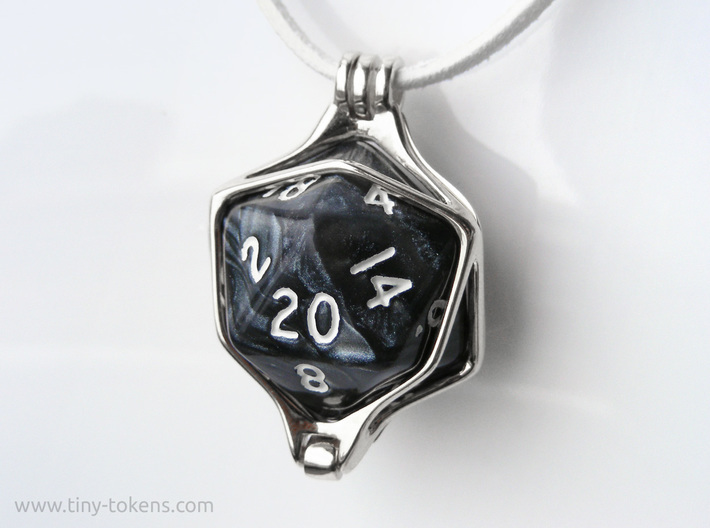 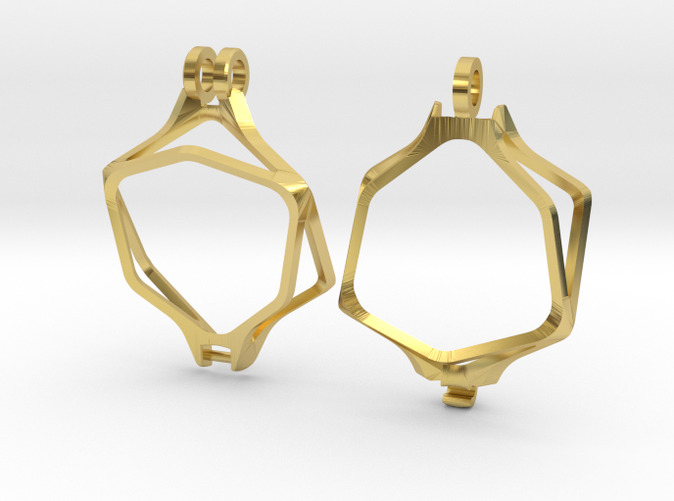 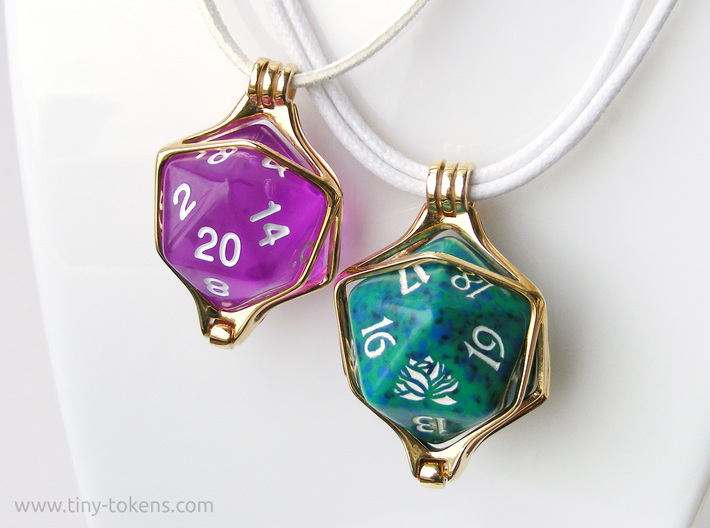 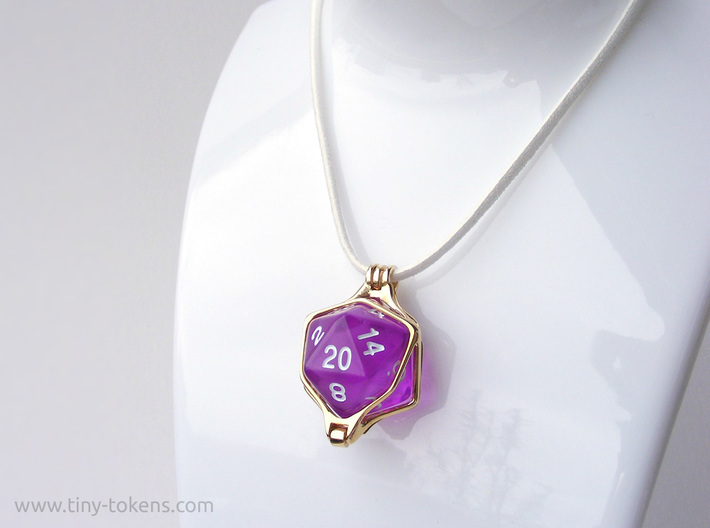 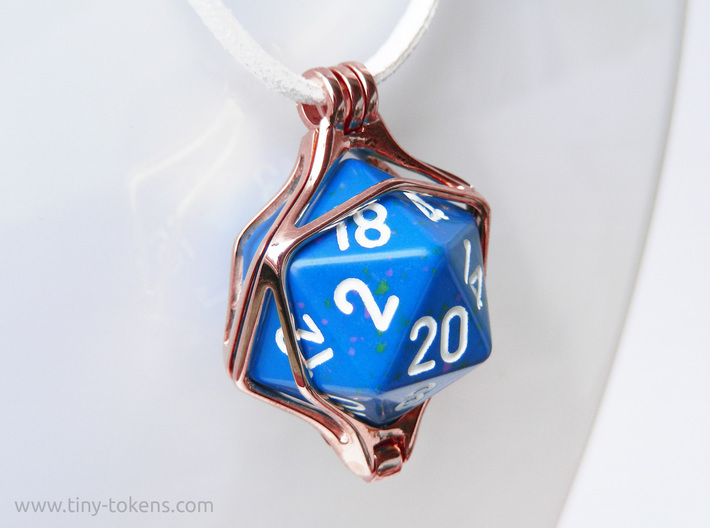 This pendants is sized to fit a standard twenty sided die (not included) as found in most roleplaying dice sets. 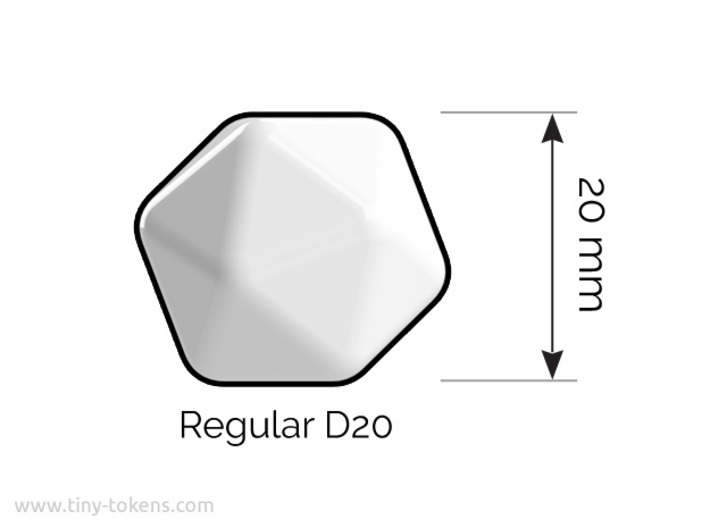 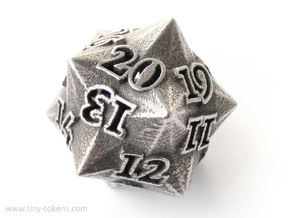 A standard size d20 measures 20 mm (0.79") between two opposing die faces. 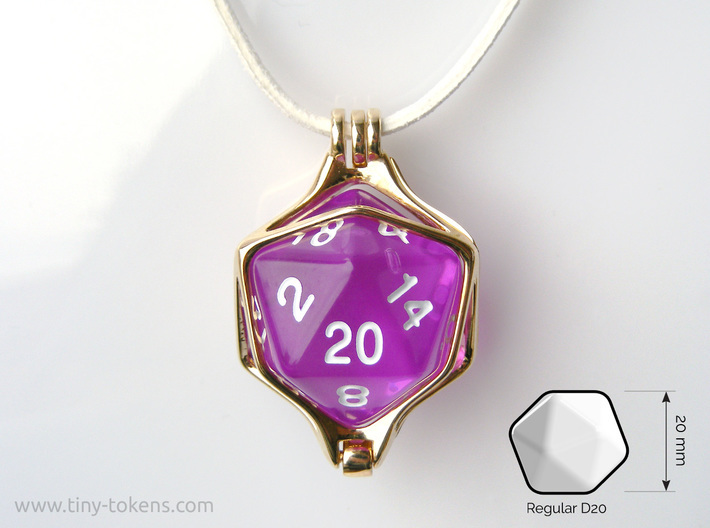 (Please make sure that the d20 you intend to display in this locket is the right size, as some twenty sided dice are slightly larger than 20mm.) 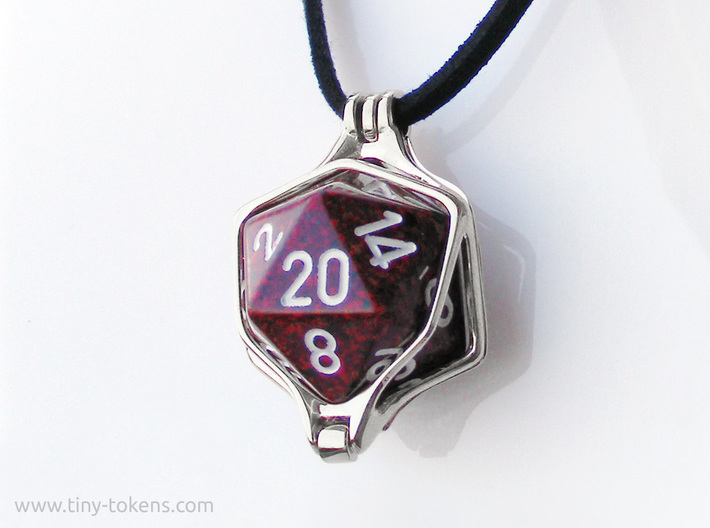 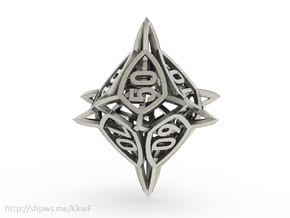 A version of this pendant that fits a 22 mm spindown d20 as used in Magic: the Gathering is available here. 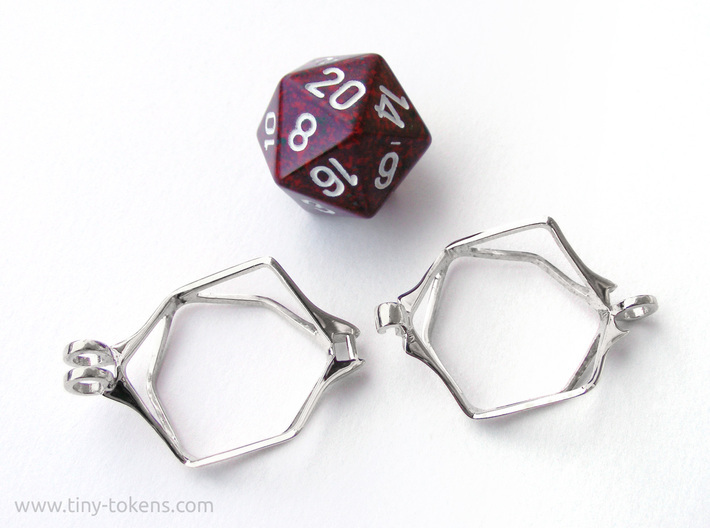 This design is intended to be used with dice with slightly rounded edges, and will not fit most precission edged (hard edged) dice.